DriveThruRPG & Wizards of the Coast are now releasing high quality reprints of some of the classic TSR era adventure modules. Here’s my review after ordering and unboxing a reprint of ‘L1 The Secret of Bone Hill’. 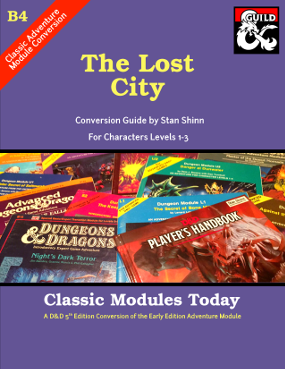 On another note, I’m working on a 5e conversion guide for L1 which will soon be available on www.DMsGuild.com (see our ClassicModulesToday.com site for more information on 5e conversions of classic D&D modules). I’ll also add that the PDF you download from DriveThruRPG is an older copy that isn’t the same high quality as the newer scan they used for the print edition. Overall though, very excited to see these modules come back into print!